Last summer, I had the opportunity to visit the McDonald Observatory near Fort Davis. It is located in the Davis Mountains of western Texas. This trip was with our church girls for their annual summer camp. It was an incredible experience. Of course, I brought my Canon Powershot G11 camera with me to record the details of the trip. 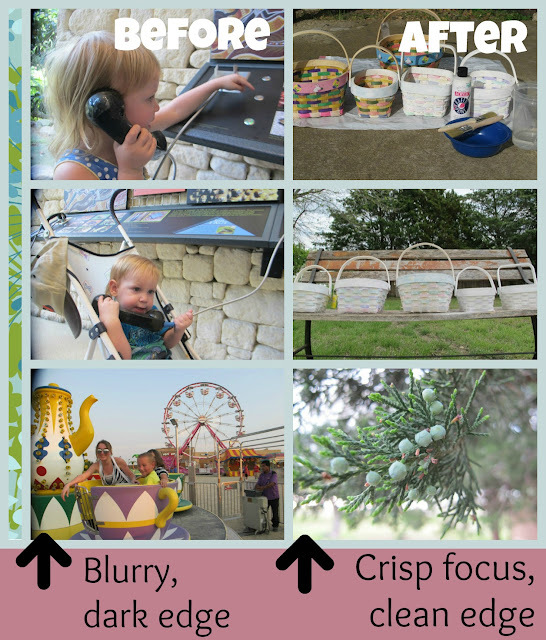 The photo opportunities were everywhere. I was taking pictures, one after another. I even brought extra batteries for the camera so I wouldn't miss a shot. Right outside the observatory, I was walking with my camera open while showing one of our girls a photo I'd just taken of our group. Looking back on that moment, perhaps it wasn't such a brilliant idea for me to walk AND show photos at the same time. After all, I tend to be a bit of a klutz. You can probably guess what happened next. With the camera opened in my hands and the power on, I stumbled and fell. I mean, I fell really hard. Forward face plant fall on the pavement. It wasn't pretty. I didn't want to distract the girls, but I really thought I'd broken my finger. 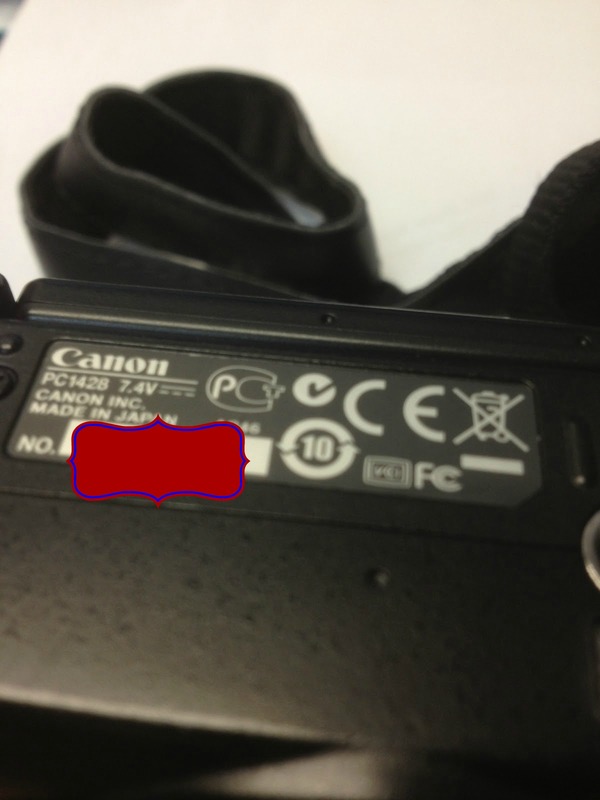 You see, my hands AND my beautiful Canon G11 camera broke my fall. My finger wasn't broken. Unfortunately, my camera was broken. After the fall, the photos I took were really dark all along the left edge of each one. Additionally, the camera was badly out of focus. It was difficult to make photos at all. I had no choice but to search for a place to repair my camera. Living near a major metropolitan area with large, well-known camera dealers, I went to one of the 'biggies' to get an estimate for my camera repair. Evidently, camera shops don't really do 'in house' repairs any more. Oh, they'd handle the repair for me all right. But, they would not repair it themselves. They'd just ship it off to the manufacturer, Canon, and let them perform the work. In other words, I might as well ship it off to Canon myself. I contacted Canon. They were quite helpful. The repair would probably cost $185. If you add in tax and shipping the price was about $210. Another option was to buy a replacement from them. I could get a 'newly reconditioned' camera. They had a Canon G12 that I could trade mine in and buy for about $270. Add tax and shipping to that and the price is about $300 if I traded in my G11. 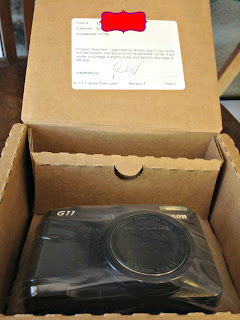 I had waited all my life to get my Canon G11 camera. It was the nicest one I'd ever owned. We paid around $400 when we bought it at Best Buy a few years ago. Spending another $200+ for a repair, tax and shipping to get it fixed seemed questionable. Spending another $300+ for a replacement seemed even more questionable. For awhile, I just waited. I still took lots of photos, but just about every photo I've taken since then, personally or for my blog, has been with my the camera on my iPhone 4S. Now, I do love my iPhone and it takes great photos, but they pale in comparison to the quality images I used to get with my Canon G11 camera. Finally, I decided to check out another option. There was another large, well-known business that did camera repairs called United Camera. I called them, and discovered that their telephone customer service staff was courteous and knowledgeable. They let me know that if my camera was repairable, the cost might be as low as $135 and no tax would be charged. That was a savings of almost a hundred bucks compared to what Canon would charge me. Additionally, they offered free return shipping. 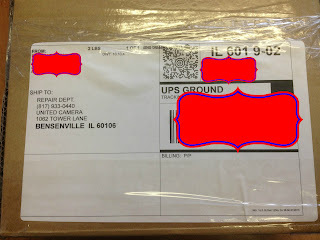 After using my iPhone to take a few photos of my camera (so I could remember the serial number and how to replace the camera strap) I followed their simple directions and shipped my camera off to their repair facility. Camera in bubble wrap with box. 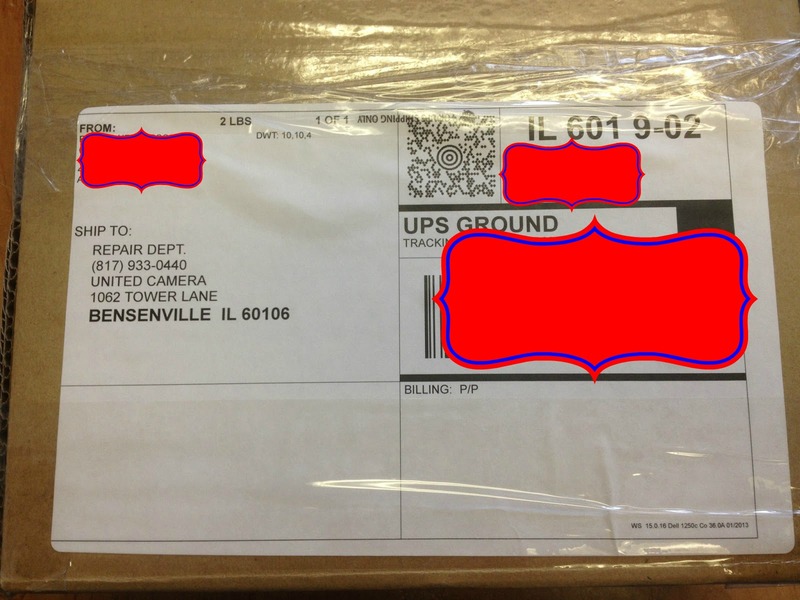 Shipment to United Camera for repair. As you can see from the Before and After collage photo above, the quality of the images from my camera are now just as beautiful and crisp as when it was brand new. I included the After images again here because I'm so pleased with the results. You'll see these little Easter baskets I'm painting in a future post. I am so very pleased with everything about my camera repair experience. If you are in need of camera repair, I highly recommend United Camera. You'll get high quality service at a great price. Had to share a couple more shots that included my beloved juniper trees. The berries are so fresh and pretty in the springtime! I hope your camera never breaks. But if it does, you should definitely consider using United Camera repair service. wow nice review, first time visitor to your blog I am very impressed. Very great post. It is very informative post for iphone repairs service. It is very useful for me and everyone who wants to repair iPhone screen.thanks for sharing this information. Samsung dispatches samsung Service center lahore another movement to make more grounded roots in Pakistan's slanting tech world is a gigantic achievement for Samsung.